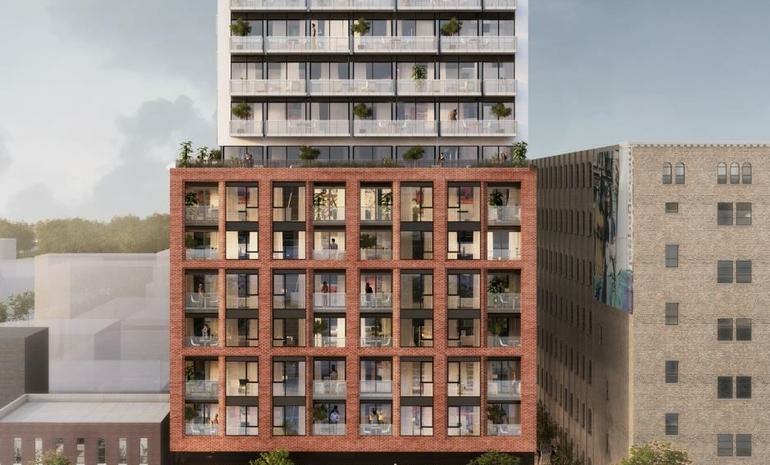 The project has been constructed by the prestigious Plaza Group and is one of the most in- demand projects in the Toronto today as far as condos are concerned. The project has one, two and three BHK apartments and is provides the ultimate living experience. The rooms are spacious and they all overlook the wonderful Toronto skyline which is mesmerizing in itself. It is located at 170 Spadina Avenue in Toronto. The apartments are all fully furnished and they provide a great lifestyle choice. The one BHK apartments are about 521 sq feet and are priced around and this is one of the larger 1BHK types. The 2 BHK apartments are about 832 sq feet. The 3 BHK types are priced around 1400 sq feet in size. The prices of the properties would be revealed to the interested buyers on request. Most of the apartments are ready to move and absolutely ready for sale. The projects mostly overlook the main road and the kitchens are fitted with all the modern appliances. The project has a number of amenities here. The bathroom and the kitchen have all the latest appliances and fittings. There is a shared pool and the balcony overlooks beautiful vistas. There is covered parking space and built in wardrobes inside the apartments for maximum utilization of space. There is full power backup and one gets to enjoy the beautiful and the lush landscape from the balconies. There is also a party room with a fully equipped kitchen. The project is located in the heart of the Toronto city and most of the major destinations are within easy reach of the project. The places of interest like entertainment zones and museums are a great attraction and is perfect for evening outs. There are a number of parks in the near vicinity if one wants to take a quick stroll and schools, restaurants and banks are all situated within easy distance. One could get to the subway with just a ten minutes walk. Plaza Group is one of the leading names of real estate in Canada and it has also constructed high end projects in Europe and US. The company is driven towards providing its clients with high end living and a great standard of lifestyle. It has always endeavored to team up with the best in hospitality, health care and property services and the result has been one superb construction, each better than the other. It pays a great deal of emphasis to community living and because of their attention to detail; they have features in their project that are unique and spectacular at the same time. The subway is located around 10 minutes away. All the apartments have built in wardrobes for great storage. The project is right in the heart of Toronto providing great connectivity to all the key locations.